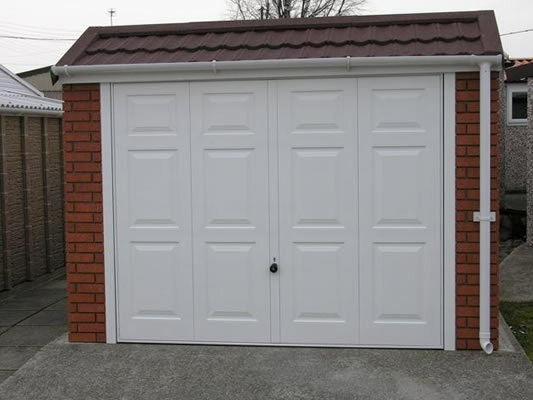 The LidgetCompton Mansard is an innovative design which includes a tile effect front and PVC fascias as standard. 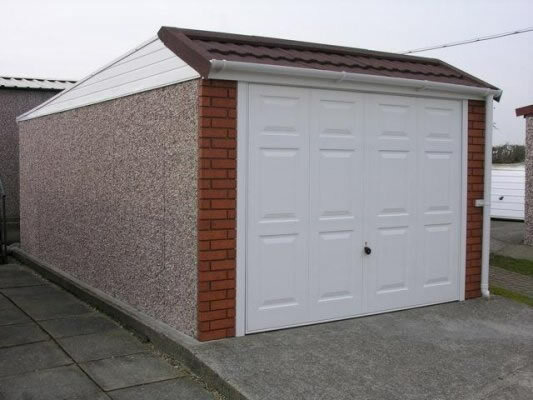 The roof structure is shared with our Pent roof design and incorporates galvanised steel rafters and corrugated sheeting for greater strength, durability and better looks. Hörmann Fully Framed and Fully Retractable Main Door . White powder-coat finish. 10yr Manufacturers Warranty Serviced by a Dedicated Aftersales Team. Buy With Confidence from the UKs Largest Manufacturer and the undisputed Market Leaders with over 20yrs experience and a 5 star credit rating. 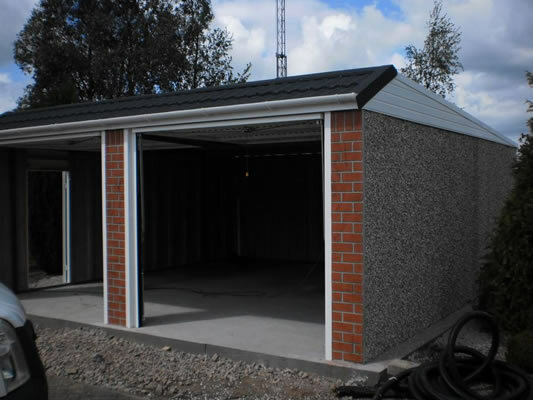 The LidgetCompton range of concrete garages is available not only in Canterbury spar finish, but a choice of four brick effect finishes, two stone and a seamless hand render.